The ‘Killing’ series of books by Bill O’Reilly has been a big success. This time though is the success of “Killing Reagan” not truly earned? Already there is controversy and people are asking questions. “Killing Reagan,” by Bill O’Reilly and Martin Dugard, is supposed to be a book of new scholarship on the Reagan presidency. Instead, it restates old claims and rumors, virtually all of which have been discredited by the historical record. In this best-selling book, there are no endnotes, no bibliography, no long list of interviewees and only a smattering of footnotes. There is a section titled “Sources,” but it is only two-and-a-half pages long. 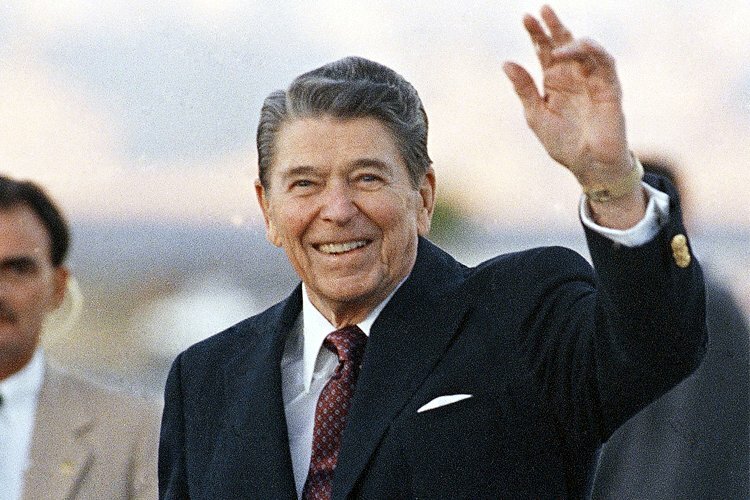 It includes about two dozen sources, but that is not adequate for a subject, Ronald Reagan, who has been the focus of thousands of books and articles and who was one of the most consequential political figures of the 20th century. The works of three of us are not noted at all, and between the four of us, we have written 19 books on Reagan, not to mention countless articles. The sources section does, however, reference long-questionable works, including the sensational 1991 attack by Kitty Kelley — which is clearly incorporated throughout the book — and the 1999 biography by Edmund Morris, roundly criticized for its intermingling of fact and fiction. To the authors’ credit, the sources section notes the use of excellent archives such as the Reagan Library, the Reagan Ranch Center and the University of Virginia’s Miller Center. And yet, the acknowledgment of those archives is somewhat puzzling, given that the archives make clear that Reagan was a far more hands-on, engaged and all-around deeply involved president than many of the partisan accounts alleged in their unfair caricatures of him in the 1980s. Frankly, we had thought that demeaning, flawed caricature — Reagan as the doodling old fool who spent too much time sleeping at Cabinet meetings and watching old movies — had been permanently put to rest by recent scholarship. Unfortunately, “Killing Reagan” shows that the old misinformation (if not disinformation) still remains with us, like a demon that cannot be exorcised. It regurgitates and resurrects much material that we had thought (and hoped) was dead and done. A large part of the storyline refers to the erroneous contention that there was serious consideration about removing Reagan from office via the 25th Amendment after John Hinckley Jr. tried to assassinate him in 1981. What’s so remarkable about the 11 days Reagan spent in the hospital recovering from his wounds is that beyond the standard discussion of temporary presidential disability among some of the president’s closest aides, none of these aides or cabinet members attempted to invoke the 25th Amendment or succession laws. Former Attorney General Ed Meese, who was not interviewed for this book but who served as Reagan’s closest aide and friend for many years, was dismissive of the allegation about the 25th Amendment as utterly and completely false. We four have interviewed Meese often, and some of us have talked to him about this book and its sourcing. It speaks volumes that none of the hundreds of former Reagan White House staffers has stepped forward to corroborate the story. Reagan’s national security adviser, Richard V. Allen, told us flatly that “Killing Reagan” is “garbage.” Allen was also there the day Reagan was shot, but again, neither O’Reilly nor Dugard spoke to him. They list only four people interviewed, including Lesley Stahl — a CBS journalist who was not a primary source and who was always extremely dismissive of Reagan’s cognitive abilities. As far as Reagan’s mental acuity, which this book presents as nose-diving very early in his presidency, only in 1994 did Reagan’s doctors at the Mayo Clinic find evidence of Alzheimer’s, six years after he left office, and they issued a statement at the time stating such. By all accounts, the hundreds of people who interacted with Reagan on a daily basis found a bright, erudite and engaged man. Among the most scandalizing material in the book are the early sections which show Reagan to be sexually very promiscuous, a callous cad robbing young starlets of their virginity. In the book, his sexual encounters went on not only between marriages but in the early years of his marriage to Nancy — including literally as Nancy was in labor giving birth to their daughter. We double-sourced everything with names. We didn’t use any blind sources at all. And it’s all in the book, in the back of the book, where it came from. Everything is there. There really wasn’t any deniability about it. You know, Nancy mentioned it to friends. Friends wrote about it. Friends put their names on it. But there is no citation in the back of the book. If the source for that section is in the back of the book, then it could be Kitty Kelley, because these are the kind of claims she has made. The book itself does not make the source clear. This kind of shocking material must be clearly sourced. Elsewhere, O’Reilly states definitively that Nancy was concerned about the 1980 debate with Jimmy Carter, and that she worried “Ronnie would say something foolish.” Yet again, no source is provided. We can state categorically that Nancy was worried about what Carter, with his reputation for meanness, might do to Reagan, but she never worried about what Reagan might do to himself. There is also this claim from the 1980 campaign, during which a copy of Carter’s debate briefing book came into the Reagan campaign’s possession: “To Nancy, gaining access to Carter’s playbook is a windfall to the Reagan campaign, not a crime.” This is not correct. For one, Nancy knew nothing of the purloined Carter playbook. And Reagan gained no advantage in the debates from the briefing books, because they were never used. As one of us wrote in a 2009 book, they were deemed worthless by Jim Baker and his debate prep team, as all they contained was a recitation of Reagan’s positions on issues. Reagan did not “know in advance how Carter will respond to every question,” as O’Reilly-Dugard mistakenly write. Besides, Carter himself has said the outcome of the debate didn’t damage his campaign. We do not expect O’Reilly and Dugard to know every detail, but such is the problem with consulting only a very limited number of sources, and citing even fewer. Who discredited the memo? Cannon himself, as he related in the 1988 book “Landslide,” by Jane Mayer and Doyle McManus. He doubled back after writing the memo, saying Reagan was fit as a fiddle. Perhaps Donald Regan’s henchmen had exaggerated the president’s frailties, [Cannon] thought. Perhaps they were trying to justify an internal coup… Could the president they described — the inattentive, incurious man who watched television rather than attend to the affairs of state — be the same as the genial, charming man across the table? What the hell is going on here? Cannon wondered. The old fella looks just dandy. The O’Reilly-Dugard treatment also continually fails to balance such claims with more recent information that has since repeatedly invalidated the original bad sources. And alas, the book concludes with a mysterious line stating that “there are those who contend” that the ghost of Ronald Reagan today haunts his ranch. Most of us have been to the ranch many times, and we’ve never heard this tale. We checked with the Reagan Ranch Center itself. The staff is likewise perplexed with this claim. They referred us to an odd article that appeared “out of the blue” in L.A. Weekly about 10 years ago, titled “The Gipper’s Ghost,” but otherwise have no knowledge of any supernatural activity. “No one with any credibility has ever attested to this,” the ranch told us. In many ways, this enigmatic anecdote is a fitting capstone to “Killing Reagan” and its shortcomings: Sure, “sources” can be found for this Reagan “ghost” story. But that does not mean that the sources — or the book — are worthwhile. Well I guess the ‘spin’ starts here.